In the 1920s the entrepreneur Johann Husheer moved to Riverhead and began growing tobacco. 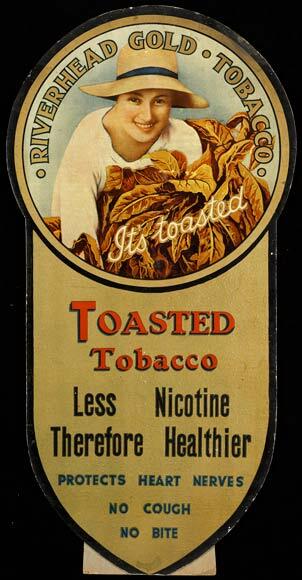 The next year he formed the National Tobacco Company, processing the Auckland-grown leaf at his factory in Napier, from where he launched the Riverhead Gold brand of tobacco. There is some information on the National Library's website: https://natlib.govt.nz/records/22825009 that reports the woman as Ruby Simmonds, born in 1904.